I've had a post featuring about ten Ebbets Field collaborations sitting in draft form for over a month, but honestly, a match-up like this deserves a spotlight of its own. 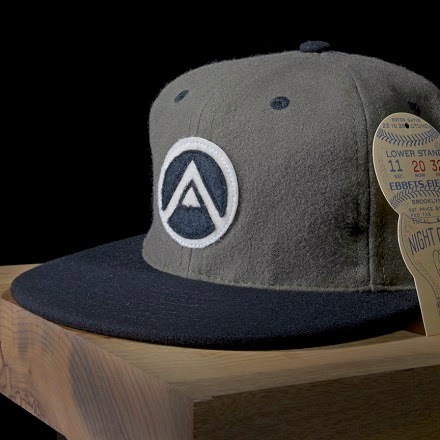 YoBeat and Ebbets Field Flannels have paired up to craft this amazing army green and black snapback complete with a 2-layer applique of the YoBeat mountain logo on the front, Plus they're 100% made in the USA. $40 is such a bargain considering Ebbets Field own ballcaps start at that price, and this piece is super limited.